2016 Stafford County Business of the Year! Our staff of experienced, talented Ophthalmologists and Optometrists has over 100 years of combined experience in quality eye care. Access Eye has achieved an outstanding reputation of attending to the needs of each individual patient, earning Access Eye the honor as one of Fredericksburg’s leading eye care practices. Ophthalmic Specialty:No-stitch cataract surgery with foldable intraocular lens or multi-focal implant. Laser Vision Correction, Near-Vision CK, surgical and medical management of glaucoma, laser surgery for the diabetic eye, cosmetic procedures such as Botox and blepharoplasty, research and teaching. 1991 George Mason University, Fairfax, Virginia. 1995 Medical College of Virginia, Richmond, Virginia. 1999 Duke University Eye Center, Durham, NC. Wilmer Eye Institute of the Johns Hopkins University School of Medicine 1999-2000. From the age of 10, Dr. Mansouri knew he would one day become a doctor. With hard work and dedication he did just that and received many accolades along the way. He was elected First in Class 91′-92′, he was awarded the Mary Anne and Bruce Johnson award: given annually to single premedical graduating senior who, in the judgement of the faculty, has the best potential. He received many subject matter awards including, Highest grades in MI Physiology, Cell Biology, Genetics, Embryology, Immunology and Immunology as well as MII Endocrinology, Neuroscience and Reproduction, and was voted Best Intern of the Year 1996. 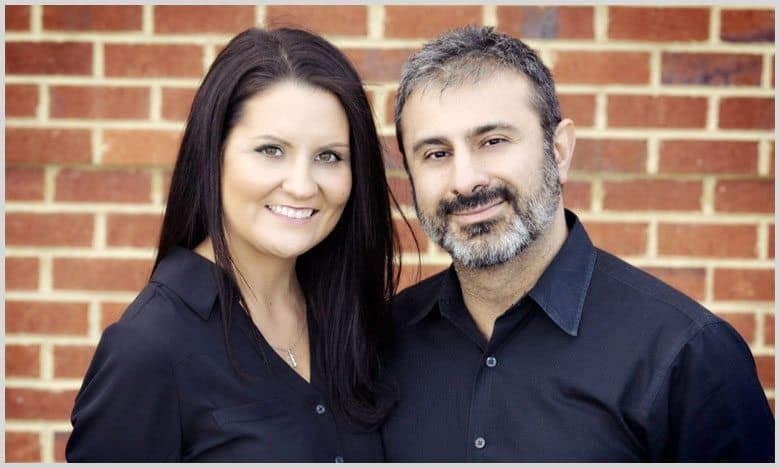 Dr. Mansouri and his wife, Michele and their children are proud to call Fredericksburg home. They enjoy the rich history and neighborly feeling in Fredericksburg. In his free time he enjoys spending time with his family, traveling, flying lessons, swimming, computers, photography, skiing and scuba diving. 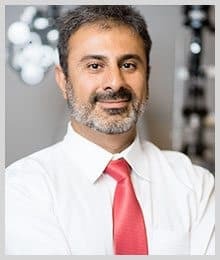 Dr. Mansouri also received the 2018 “Best of the Burg” Award for best ophthalmologist in Fredericksburg. Click here to read an article on Dr. Mansouri that was published in the Free Lance Star. 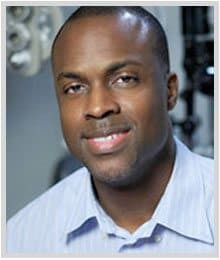 Ophthalmic Specialty:Dr. Coleman is on the forefront of all the latest producers in the field of Ophthalmology. 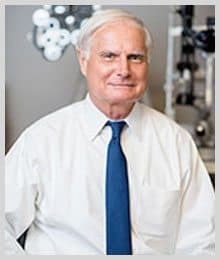 Dr. Coleman was one of the first Ophthalmologists in the state to do the Topical Cataract Extraction w / IOL implant (no stitch, no patch) procedure and to use the array multi-focal intraocular implant. Other surgical procedures include Scleral buckle, YAG Laser and Argon Laser. Dr. B. Adrian Biscombe was born in New York, New York but grew up in Northern Va. 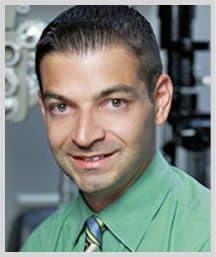 He is a graduate of The State University of New York State College of Optometry. His training also included externships at Capital Eye Consultants in Fairfax,VA. and the Brooklyn Veterans Administration Hospital in Brooklyn. Dr. Biscombe’s professional path from an undergraduate degree in biology to optometry was influenced by his grandmother’s blindness caused by glaucoma and his desire to help save the precious eyesight of other people. Dr. Biscombe has two beautiful daughters, Alyssa and Aleah. He loves to take them to the playground, the library and museums in Washington, D.C., and also loves to read with them. Dr. Biscombe is a big sports fan, and especially loves The Washington Redskins. In his spare time, he likes to cook, bake(especially bananna bread) and periodically brush up on his piano skills. located in the Aquia Park Shopping Center, 2761 Jeff Davis Hwy, Stafford. 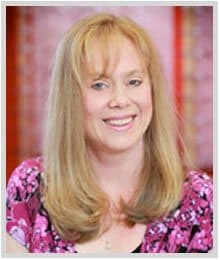 Dr. Angela Santinga is a native of Culpeper, Virginia. She graduated from Virginia Tech in 1993 with a Bachelor of Science degree in Biology. After completing college, Dr. Santinga attended Nova Southeastern University-College of Optometry in Davie, Florida. She was a member of the Beta Sigma Kappa honor society and receiver her Doctor of Optometry degree in 1997. She also completed an ocular disease internship at the University of Miami’s Bascom Palmer Eye Institute. After graduating from Optometry School, Dr. Santinga returned to the Central Virginia area and began practice with an emphasis on Primary Care, Ocular Disease, and Contact Lenses. Dr. Santinga also has received specialized training in Lasik Refractive Surgery. Outside of the office, Dr. Santinga is married to her husband, Fred, who is also a native of Culpeper, and they have two daughters. In her spare time, she is a busy soccer mom and also helps to take care of their farm which includes 3 cats, 2 dogs, and their small herd of Tarentaise cattle. Dr. Testa earned his Doctor of Optometry degree from Southern College of Optometry in Memphis, Tennessee. His clinical training included a rotation at the W.G. Hefner Veterans Administration hospital in Salisbury, NC. Recently, he completed a post-doctoral residency program that furthered his training in diagnosis and management of eye disease, Dr. Testa’s area of special interest. He also enjoys refractive care including contact lens fitting. Dr. Testa grew up in upstate New York, but after completing his first two years of undergraduate studies at SUNY Brockport, he moved to the mid-south, where he has lived since then. He enjoys outdoor activities such as kayaking, mountain biking, and kiteboarding. Joseph Dzibela, O.D. grew up in Edison, New Jersey. 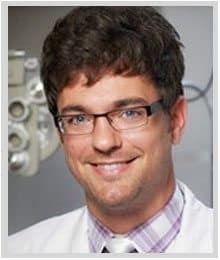 He did his undergraduate studies at Rutgers University and then attended the Pennsylvania College of Optometry, where he graduated with honors. He spent 4 years living and practicing at the Jersey Shore. He enjoys fitting contact lenses and seeing patients of all ages. In his free time, Dr. Dzibela likes spending time outdoors, hiking, biking, skiing and is an avid sports fan. He also has two children who attend Holy Cross Academy. Tracy Dzibela, O. D. was born and raised in Nova Scotia, Canada. She attended the Pennsylvania College of Optometry, and after graduation she practiced in New Jersey for 4 years before moving to Virgina. While in school, she traveled throughout the United States doing internships in pediatrics, ocular disease and contact lenses. In her spare time, Dr. Dzibela enjoys spending time with her two children, running, skiing and camping. She devotes a great deal of time training and running in marathons, including the Boston Marathon. Steffani A. Deas, O.D., M.P.H. 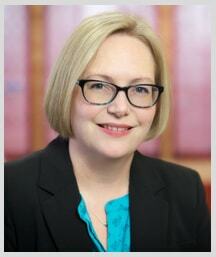 Dr. Steffani A. Deas is a Therapeutic Optometrist with clinical and management experience. 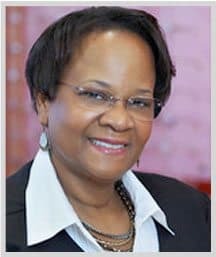 She received her Doctor of Optometry Degree from the State University of New York, College of Optometry and a Master of Public Health Degree in Quantitative Methods and Epidemiology from the University of Medicine and Dentistry of New Jersey. Dr. Deas, who specializes in primary care optometry, also has interest and knowledge of public health programs and clinical research. She recently completed a research project on the subject of diabetic related retinal surgery. 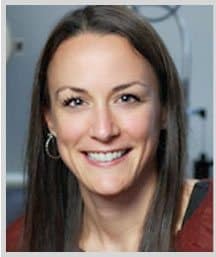 Dr. Deas has recently relocated from New Jersey where she held a position as an associate optometrist at a private optometric practice. And, was a consulting optometrist providing optometric management and services through vision screenings to the ChildSight Program of Helen Keller International and to the Project Prevention Program of the NJ Commission for the Blind and Visually Impaired. Although Dr. Deas was born in New York, NY and grew up in Queens, NY, she considers Virginia to be her second home state. She has visited family and friends as well as vacationed through out Virginia since her childhood. Dr. Deas has also received part of her education in Virginia – she is an alumnus of Hampton University. Kendra Halepaska, O. D. was born and raised in Texas. She received her undergraduate degree in Biomedical Science from Texas A&M University. She received her Doctorate of Optometry degree from Nova Southeastern University in Davie, Florida. Dr. Halepaska has been practicing in the Virginia area for 10 years. She provides comprehensive eyecare, including treating and managing ocular diseases, medical emergencies, comprehensive health exams, pre and postoperative care, contact lens exams, geriatric and pediatric exams. In her spare time, Dr. Halepaska enjoys spending time with family and friends. She also enjoys hiking and attending plays at the University of Mary Washington. She lives with her husband and three daughters who enjoy soccer, lacrosse and playing the piano. Chris Adams is a licensed Hearing Instrument Specialist. He completed a year-long apprenticeship prior to passing the state licensure exam on his first attempt. 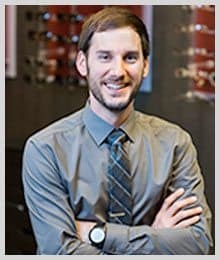 Chris is also a certified Ophthalmic Assistant and a licensed Optician. He has worked in the medical field for more than 10 years. Copyright © 2019 Access Eye Centers|All rights reserved. 540-371-2020|access@accesseye.com|Like us on Facebook!|Follow our Instagram!